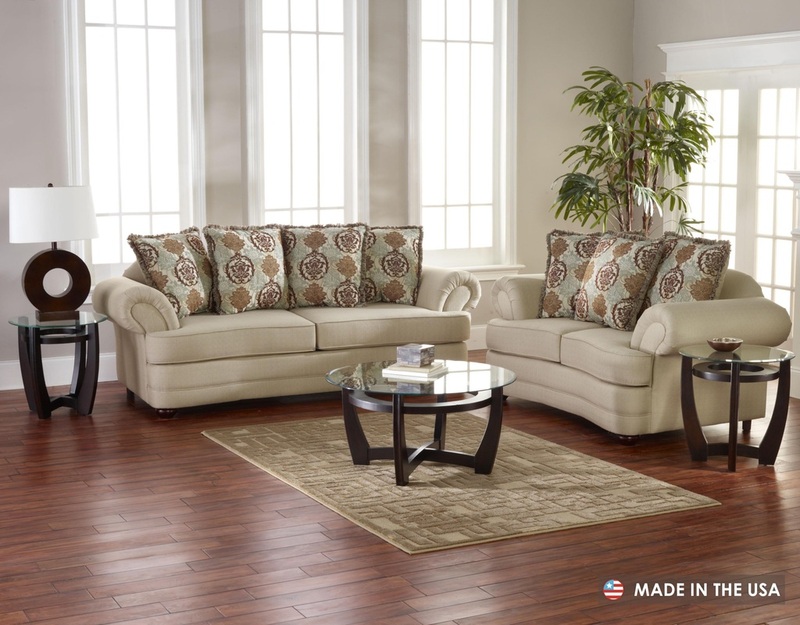 Nothing says quaint cottage elegance quite like the Fairview living room collection. An American made furniture set, this US manufactured collection features beautiful style elements that can be paired with traditional accents as easily as with modern. Curvaceous silhouettes with outward flaired arms and contoured seat cushions accent this collection with a classic styled elegance while exposed bun feet provide wooden accents. Complete with welt cords and shag pillow trim, the delicate Fairview furniture collection is sure to accent homes with a soft styled elegance.